Roger Federer is thru to yet another final in his hometown tournament. 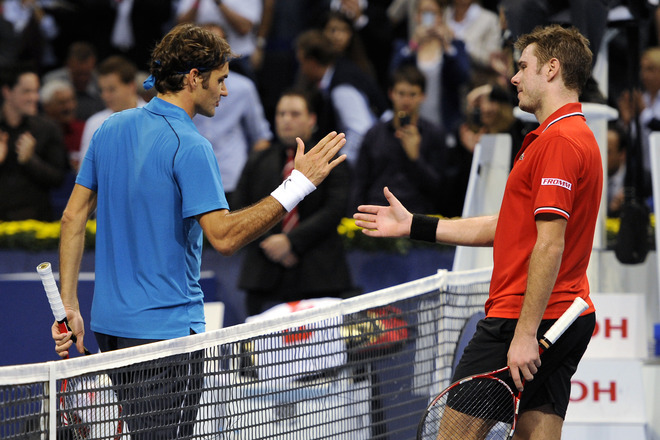 Make that his 8th final in Basel, and 2011 marks his 6th straight year being in it.After breaking early in the for 3-1, Federer was broken while serving for the set at 5-3, only to capture the first set in a tiebreak, 7-6 (5). The second set began with an early break to the Swiss maestro, followed by a second break for 4-1, and soon after Federer closed the match with a 7-6 (5) 6-2 victory. 26 winners overall for Federer and key improvements as the week has progressed have been the serve and converting break points. 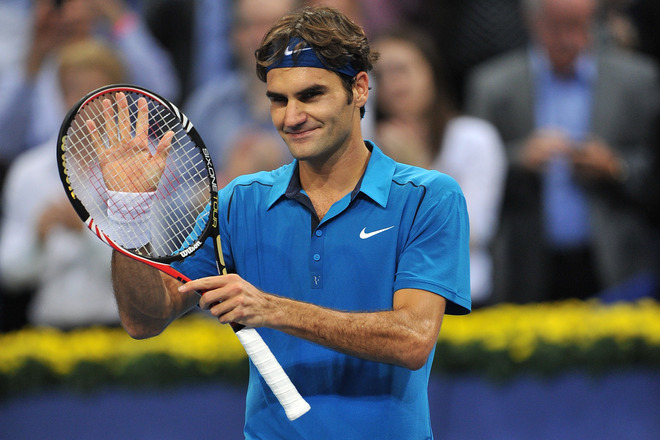 A 4-time champion in Basel, Federer will go for his 5th title on Sunday. Federer plays Kei Nishikori in Sunday’s final. Nishikori upset Djokovic, 2-6 7-6 (4) 6-0. Scheduled start time is not before 3pm local time in Basel. Tune in then at FF07tv. Check out the new Federer racquet, with details on the frame and high quality photos.